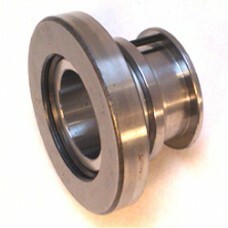 McLeod Performance adjustable clutch release bearing. Adjusts to three lengths: Stock, + 0.200” & + 0.400”. Application: Use with Ford T5 (1-1/16”) e.g. Mustang, T-45, Tremec 3550, TKO transmissions (TRE500FD, TRE600FD).